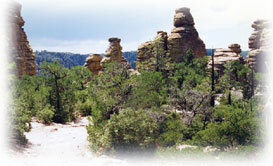 The Coronado National Forest, adjoining Cochise Stronghold, A Canyon Nature Retreat offers several great walks and hikes. Maps and trail access information is available to our guests. The Cochise Indian Trail climbs gently for the first mile through thick woodlands with breathtaking views of salmon-tinted granite domes and rock faces made even more colorful by the adhering lichens which grow in a wide range of colors. The trail is a 6 mile round trip to the divide, rated moderate in difficulty with an elevation gain of ~ 1,000 feet. For those with the time and ability you can hike further downhill from the divide toward Cochise Stronghold West. This additional two mile (one way) trail is steeper but the surrounding rock garden is very dramatic and isolated. 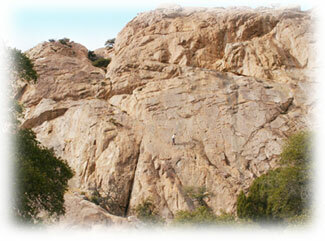 We highly recommend the Cochise Indian Trail or exploration of even just a portion of it. The Rockfellow Dome Trail is much steeper than Cochise Trail. The upper part of the trail is closed annually from Feb. 15 – June 15 when the resident raptors are nesting. The Chiricahua National Monument and Wonderland of Rocks is just an hours’ drive from Cochise Stronghold through open high-desert grasslands of the Sulphur Springs Valley. 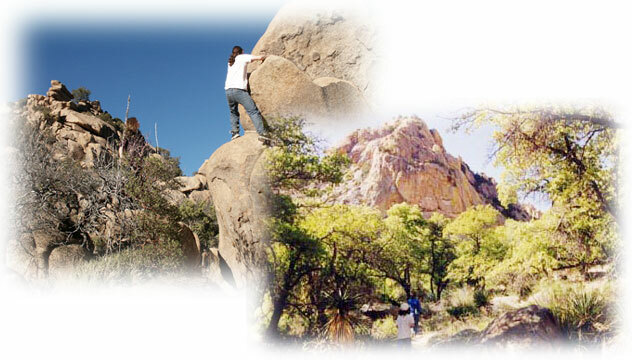 The famed Chiricahua Mountains have numerous places to walk, hike and picnic. At the northern end of the mountain range, rising to nearly 10,000 feet is an oasis of cool weather hiking and sightseeing opportunities. 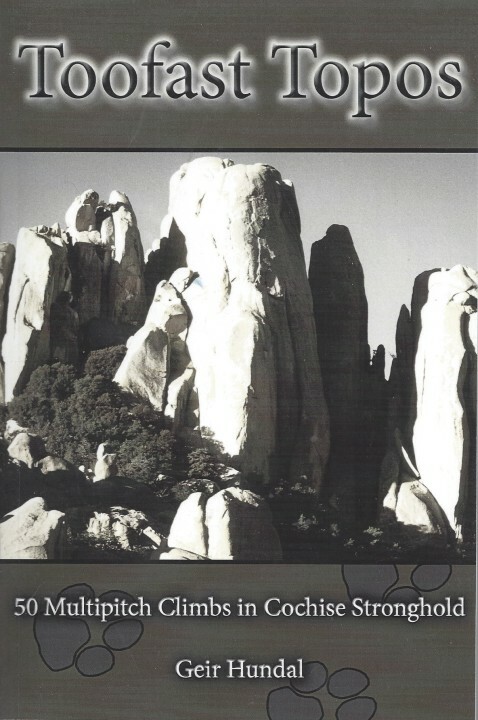 Amazing biological diversity, otherworldly landscapes of balanced rocks, stone spires and sculptured boulders and a rich history await. Fort Bowie — at the northernmost tip of the Chiricahuas you can trek to the abandoned Army fort, now preserved as a national historic site. 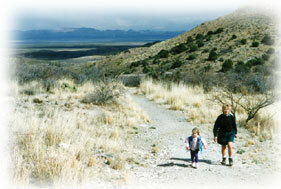 The 1.5 mile trail is an easy hike traversing diverse mile-high terrain of rolling grasslands and oak woodlands. The trail leads past stagecoach station ruins, a historic cemetery where Geronimo’s son is buried, and a verdant spring with towering ancient black walnut trees. This is the place where the Apache Wars began in 1861. A friend of Cochise Stronghold, Geir Hundal’s long-awaited book, Toofast Topos, of climbing routes in the Stronghold, is available. We have a copy of the guide book for guests to check out. Rock Climbing in Arizona, by Stewart M. Green with permission from Falcon Publishing, an imprint of the Globe Pequot Press. 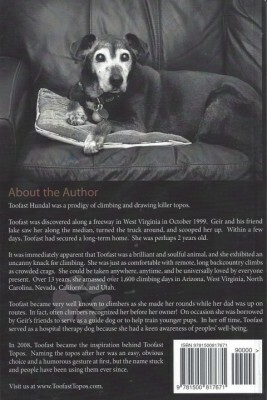 To order a copy of this guide book visit www.GlobePequot.com, contact by email at info@GlobePequot.com, or call toll free at 1-800-243-0495 M-F, 9-5 p.m.